September could be considered the month of the fiesta, as La Mercè (Barcelona’s annual summer fiesta) brings together many other local fiestas, that in spite of not having the same importance or media profile, all offer many interesting activities and events for locals from the districts themselves, Barcelona’s residents and tourists who happen to be in the city. Which fiestas, activities and events take place in September? Barcelona’s annual fiesta, La Mercè, is named after the city’s patron saint. 24th September marks the celebratory day, and it’s a public holiday throughout the city, but the celebrations take place over 4 or 5 days, and always over a weekend. 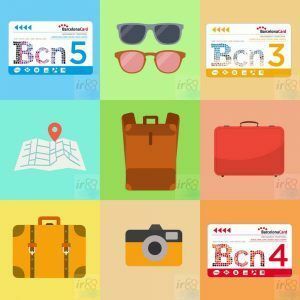 Many activities and events take place, and highlights include the theatre productions in the Parc de la Ciutadella, traditional Catalan ceremonies in Plaça de Sant Jaume and open days in many of the city’s museums. The week of 24th September. Various events throughout the city. € Nearly all of the activities are free of charge. The BAM Festival (Barcelona Acció Musical) is a music festival that takes place alongside the Fiestas de la Mercè, which increases the choice of musical activity during the fiestas. Each year big names from the world of music, both nationally and internationally renowned, are invited to perform in various locations throughout the city. The week of 24th September.. Various open-air stages throughout the city. € Free entry to all the concerts.. The iconic neighborhood of La Barceloneta, one of the most charming areas of the city, celebrates its annual fiesta during the last week of September. Concerts, markets, children’s activities and traditions such as the singing of ‘habaneras’ and “correfoc” (people running through the streets throwing and juggling with fire) are some of the typical events that take place in this traditional fishing district. € the vast majority of the events are free of charge. Before the Festes de La Mercè start, the district of Poblenou is already warming up with its own annual fiesta. It’s ‘rambla’, or main avenue, is where most of the action takes place, and it’s well worth a visit if you’re in the area. First or second week of September. € nearly all the activities are free of charge. The area of La Ribera, in the Old Town, is another district that celebrates its annual fiesta in September, specifically in the middle of the month. As it’s one of the most central and touristic areas of the city, it’s very likely that you’ll stumble across one or more of the activities that is taking place. The Diada, or Catalunya’s national day, is celebrated on 11th September and it commemorates the fall of Barcelona and the subsequent defeat of Catalunya against Felipe V’s troops at the end of the War of Spanish Succession. In contrast to La Mercè, this is more of a day of demonstrations about something that’s still so relevant today, and some official ceremonies, rather than events of a celebratory nature take place. Businesses close, with the exception of those in the Maremagnum shopping centre, as well as some in El Born and the Gothic Quarter. 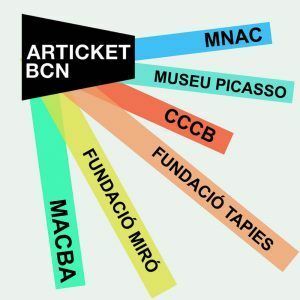 Entry to some museums is free of charge on this day, as is the case with the MNAC (the National Museum of Catalunya) and the Museu d’Història de Catalunya (the History Museum of Catalunya) amongst others, including cultural centres such as El Born Cultural Centre. € the cultural activities are usually free of charge. 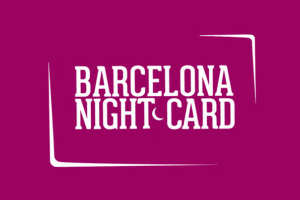 On the first three Sundays in September you’ll still be able to attend Brunch -in the Park, the electronic music festival that takes place from the beginning of June in the Jardins Joan Brossa in Montjuïc, and that livens up Sundays in Barcelona. You will need to pay to enter the festival, and between 13:00 and 22:00 you’ll be able to walk around the area accompanied by some of the best-known DJs. Everyone is welcome, and of course that includes families, who are well catered for – special activities are put on for the smallest visitors in the children’s area. Every Sunday throughout June to September. Jardins Joan Brossa (Montjuïc Park). € €10 / €13 (season ticket €75). One of the most curious and unique ideas that the summer has to offer is that organised by the Fabra Observatory. It’s the so-called Sopar amb Estrelles (‘Dinner with the Stars’) and it blends gastronomic interest (a dinner outside on the terrace), wonderful scenery (breathtaking views of the entire city from one of the highest points in Barcelona) and scientific interest (guided tours of the observatory’s museum in Spanish, Catalan and English, as well as the chance to look at stars, planets and satellites through a telescope). From June to the beginning of October. The city’s hotels, which tend to only open their rooftop terraces during the summer months, will generally restrict access after the end of September, so now’s the time to head up to one of the many rooftop terraces to enjoy the views, the food and even the entertainment that’s sometimes organised. Generally from May to September. € Access to the roof terraces is free of charge. 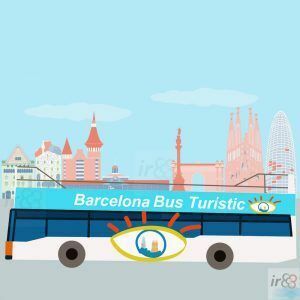 If you’d like to book a few hours with a guide to take you on a customised tour in English according to your interests, we can organise it for you at irBarcelona. 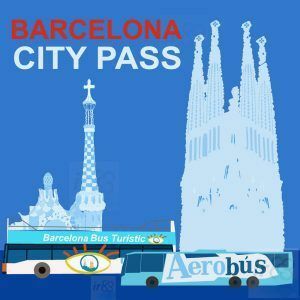 We work with official tour guides in Barcelona and Catalonia who show you everything you want to see as well as helping you to discover other surprises the city has to offer. Please contact us for more information and to book your customised guided tour. It’s quite common for it to cloud over during the early evening hours in September, and this sometimes turns into the typical stormy weather that can be experienced at the end of the summer months – and the storms can be quite heavy. If this happens while you’re in Barcelona we recommend going into a nearby bar, café or shopping centre while it passes, as it rarely takes long to brighten up. Sunrise: 07:18 (1st September) – 07:47 (30th September). Sunset: 20:24 (1st September) – 19:35 (30th September). 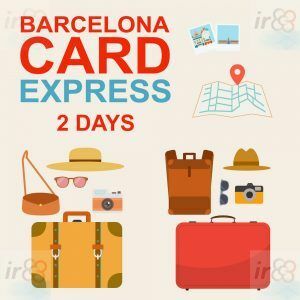 If you’re planning on spending every minute of your holidays on the beach, September isn’t the best time to come to Barcelona. But for everyone else we think it’s an excellent month in which to visit, as you’ll escape the busiest tourist season whilst being able to enjoy the festive atmosphere surrounding the city’s fiestas. Quieter beaches: although summer is drawing to a close as September arrives, there should still be plenty of chances for you to have a swim in the sea on a sunny day. As the number of tourists decreases immensely and the locals return to work after their summer break, the beaches are much quieter on weekdays than during the months of June through to August. The sea temperature may be slightly colder and the evenings in general are a bit chillier, with a greater chance of storms, especially towards the end of the month, but we certainly recommend that you make the most of these last few days of beach weather. The annual fiestas: We definitely recommend taking part in the annual summer fiestas that take place in September, as they are open to everyone who’d like to get a glimpse of authentic Catalan culture, the highlight of which is La Mercè. 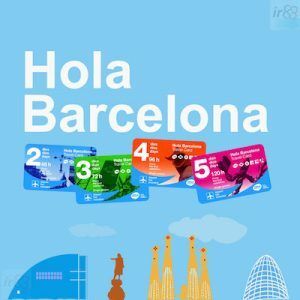 The end of summer: We don’t think there are any disadvantages in visiting Barcelona in September. However, in order not to leave this space blank, we’ve decided to include those that the end of summer is bound to bring: temperatures are somewhat lower than in August, and could prevent a day out at the beach on some days, and the chance of one of the storms that may require you to dash for shelter is somewhat higher.